We have had a fantastic time in the Kindergarten! November and December were about our body and what it can do! In addition to the body, we also learned about Autumn! 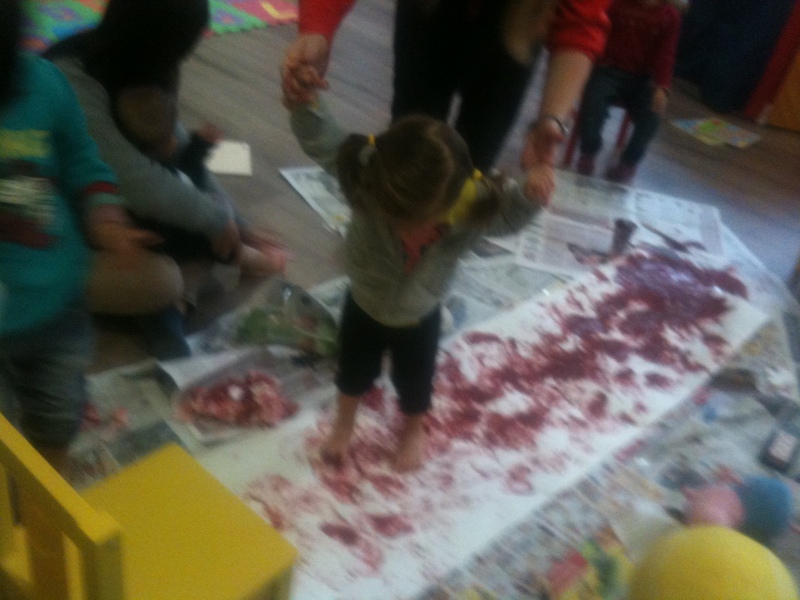 We did lots of fun activities to do with our body, such as painting with our hands and feet, sticking the parts of the face and body, doing lots of movement and singing some songs! We had great fun learning ‘head, shoulders, knees and toes!’. We not only learned the song in English but in Chinese too，《shēn tǐ gē 身体歌》“ tóu 头，jiān 肩，xīgài 膝盖，jiǎo 脚”! 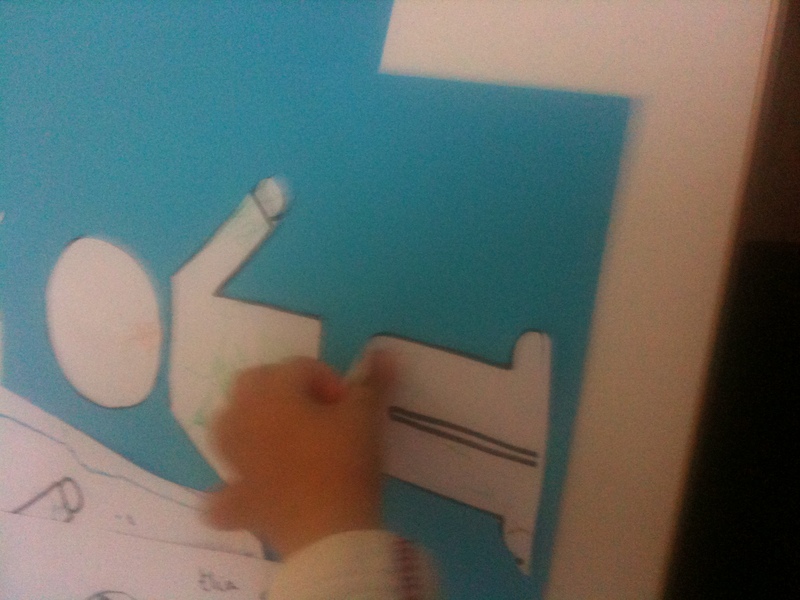 Some of the other songs that we learned in English used lots of movements and different parts of our body! The children especially loved ‘The wheels on the bus‘, ‘Row, row, row your boat‘, ‘I hear thunder‘ and ‘rain, rain go away‘, which also included some elements of Autumn. In Chinese we learned some new songs too! These songs you can find on your CD! 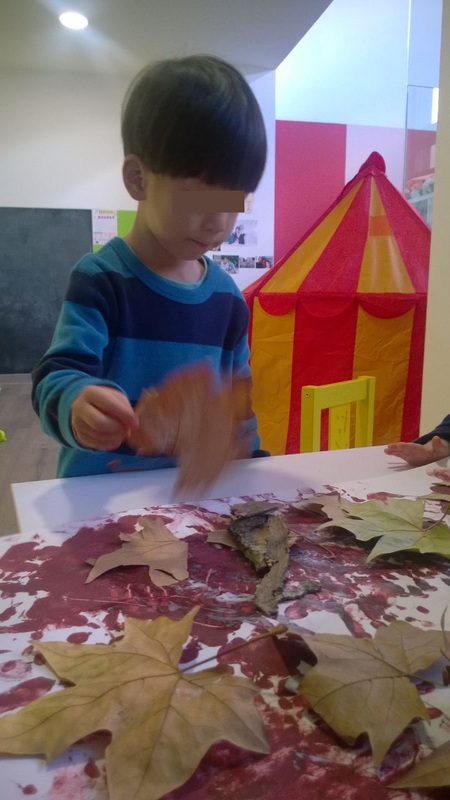 We learned a lot about autumn, and made trees with our hands and stickers in Chinese! 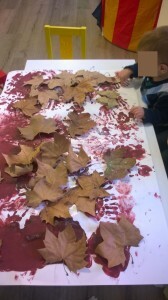 We also used our hands and feet to paint our autumn tree, which you may have seen in the classroom! Thanks to all of your hard work collect leaves, we stuck lots of autumn leaves on our tree and the children all loved it! Our continuous number and color topic was about number 2 and the color Blue! 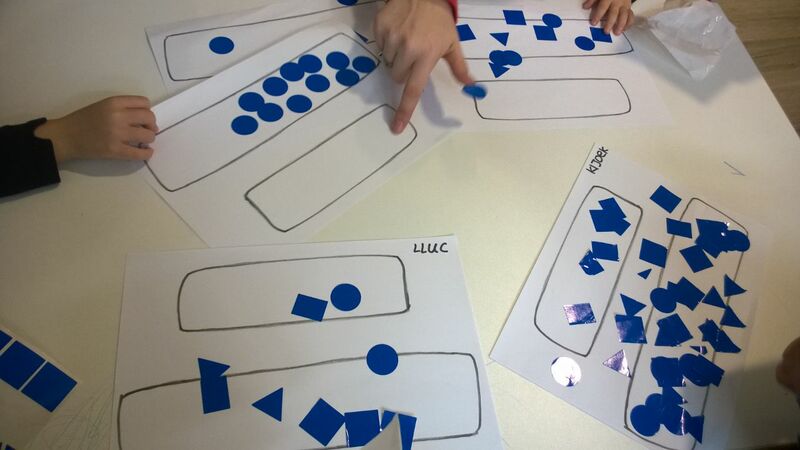 In Chinese we had a fantastic time learning about ‘èr二‘ and ‘lán sè 蓝色‘. This month, December, focuses on our Family and Christmas! We will also be looking at the color ‘red‘ and ‘number 3‘ in English. We will be learning about ‘Sān三‘ and ‘ hóng sè 红色‘. See you learning English and Chinese!